Join us for the annual Heritage Parade from Noon – 1:30 PM, then come play with us at Summer Streets. 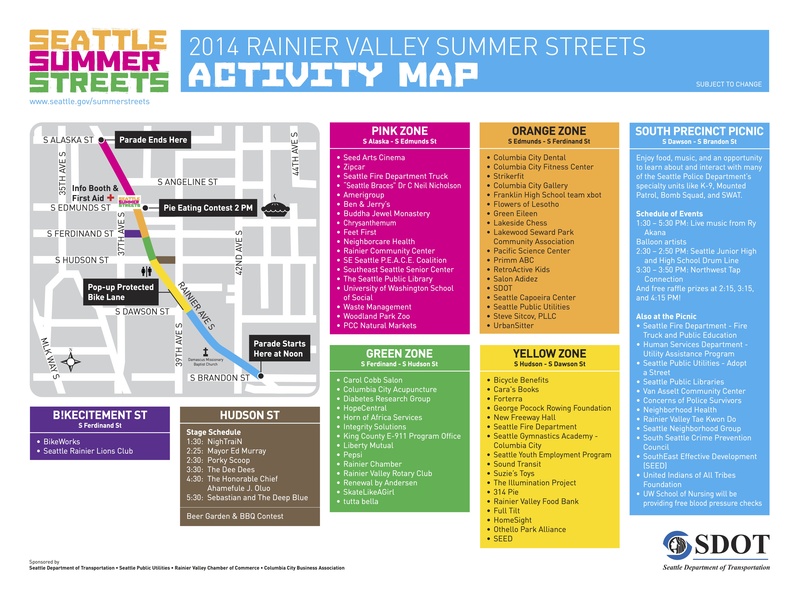 We’ll open up Rainier Ave S (from S Alaska to S Brandon St) to people on foot and bike! PS – Join Bike Works and Cascade Bicycle Club to lead the parade with bikes! Meet at 10:30 AM in the New Bethel Church Parking Lot across from the Rainier Valley Chamber of Commerce at 42nd and Rainier Ave S. They’ll have a bike decoration station available so you can spruce up your ride while we wait for the parade to start. Contact info@bikeworks.org for more details. 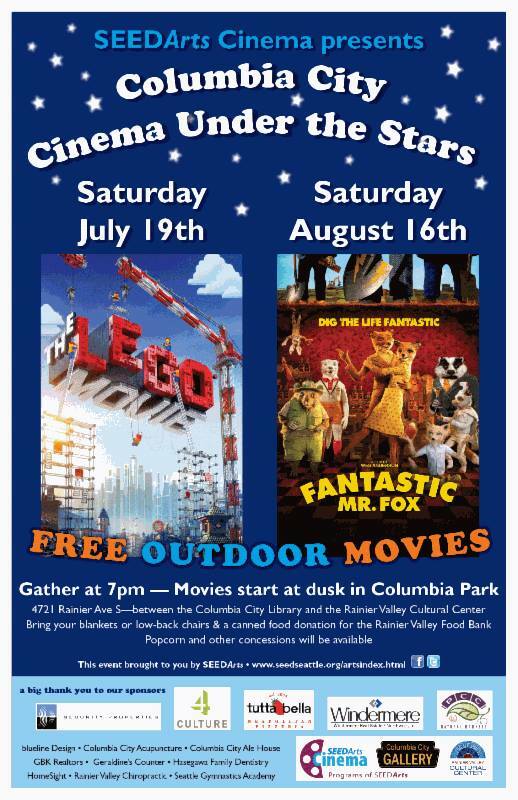 In addition to the parade, don’t forget there’s the 3rd annual Columbia City BBQ contest, the Blues festival, and tomorrow night’s screening of Fantastic Mr. Fox as a part of Columbia City’s Cinema Under the Stars series. It’s gonna be a busy Saturday. Update: the good folks over at the South Seattle Emerald also have a nice listing of what’s happening tomorrow. Be sure to check out their post as well.